JERSEY SHORE — The Bulldogs are thriving under new coach Randy Smith. 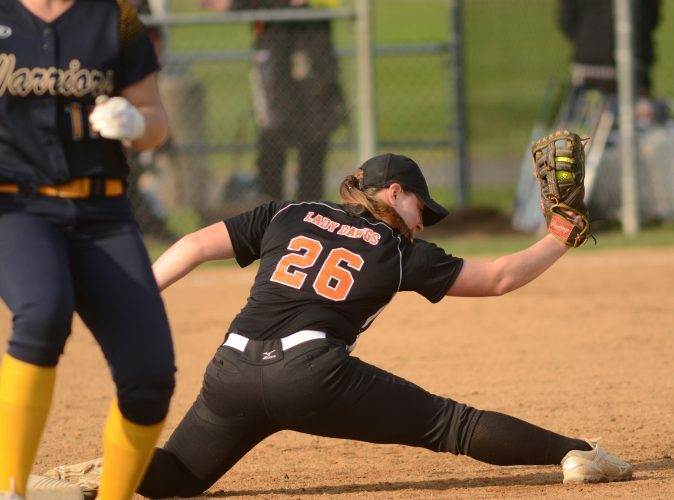 After recording a 10-run victory over Central Columbia in the season opener, Jersey Shore continued its momentum with another 10-0 mercy-rule victory over Midd-West on Tuesday. Bulldogs starting pitcher Kylie Russell was dominant in the circle. She recorded seven strikeouts and allowed just three hits in five innings of play. On offense the Bulldogs out-hit Midd-West, 9-3. Alyssa Stover batted 3 for 3 with three RBIs and Brianna Herman’s RBI triple in the fifth sealed the game for Jersey Shore. Jersey Shore jumped to an early 2-0 lead after a two-run double by Alyssa Stover. Next batter up Aubrey Stetts scored Stover off an RBI single to put the Bulldogs ahead, 3-0. In the bottom of the third Stover recorded an RBI triple to give Jersey Shore a 4-0 lead. It was her second of three hits on the night, as the junior slugger is quickly emerging into one of the team’s top-hitting threats. “She’s been really doing a great job at the plate,” Smith said of Stover. In the top of the fourth Bulldogs pitcher Kylie Russell had her strongest outing of the evening. 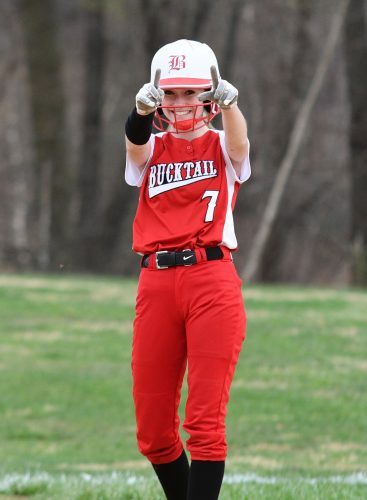 She struck out the side of Midd-West batters and regulated the Mustangs’ offense the entirety of the game. The Bulldogs carried a 4-0 edge into the fifth before exploding for six runs in the final inning. Jersey Shore extended its lead to 6-0 after back-to-back errors by the Mustangs’ defense allowed two Bulldog runs to score. Gabrielle Vuocolo put Jersey Shore ahead 8-0 after a deep floater dropped just behind Midd-West’s back-pedalling center fielder for a two-run triple. The Bulldogs closed the game with an RBI single by Hailey Stetts and an RBI triple by Brianna Herman. For Herman, the triple was her lone hit in four at-bats. She struggled early on but displayed her power when she nearly smacked the ball over the fence. Jersey Shore (2-0) returns to action Thursday at Central Mountain. WP: Kylie Russell. LP: Raya Kunes. Top Jersey Shore hitters: Alyssa Stover 3-3, 3B, 3 RBIs; Hailey Stetts 2-2, RBI. Top Midd-West hitters: Kaitlynn Erb 1-2.